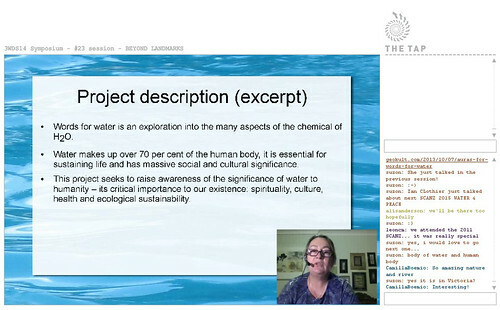 In March this year, I presented a talk about the ongoing project Words for Water as part of the Waterwheel World Water Day Symposium. Just this weekend some documentation of the presentations has been published on Flickr – #23 session – 3WDS14 – BEYOND LANDMARKS. Please contact me if you would like to contribute to the Words for Water project. A update on the Words for Water project.